As asset custodians and fund managers cope with consolidation in their sectors, and likely shakeouts in their industries’ futures, they have begun marketing technology. It’s a strategy for them not just to replace lost revenues, but also bolster their stature and significance with financial advisors. In the past three months, both BlackRock and BNY Mellon’s Pershing announced they have already strengthened and want to continue to bolster sales of tech for advisors and that they expect an increasing amount of their revenues from that stream, rather than fund-management or custodial fees. For FAs, these developments represent potentially encouraging news: BlackRock and Pershing continue to identify advisors as pivotal doorkeepers to clients seeking wealth management services, rather than professionals who are imminently obsolescent and only rank as the predecessors to robo-advisors. At an early February fintech conference in Denton, Texas, Pershing officials disclosed plans to expand tech staff and design technology to create “advisor-led experiences.” The custodial services company, which has no retail channel of its own, stressed the significance of FAs and downplayed the value of technology without FAs. BlackRock’s shiniest new tech — its Aladdin brand of risk management tools, which make investor portfolio risk scores available in real time — has already proved a boon for the company. For the fourth quarter of last year, BlackRock reported that administration fees and securities lending revenues decreased $118 million from the fourth quarter of 2017 and $104 million from the third quarter of 2018. But at the same time, technology services revenue increased $27 million from the fourth quarter of 2017 and $3 million from the third quarter of 2018, primarily reflecting higher revenue from institutional sales of Aladdin tools. Notably, that still leaves BlackRock with a $91 million gap between its lost fee revenues in the fourth quarter compared to its technology sales gains in the same time period. Going forward, BlackRock likely won't recapture all its losses due to fee compression with tech sales. But by marketing the new technology, BlackRock increases the odds that it remains pivotal to advisors during an expected shakeout in the asset management industry. “They are sneaking their way into the wealth management value chain,” says Bing Waldert, a managing director at Cerulli Associates. Sheryl Rowling, the principal of Rowling & Associates in San Diego, which has more than $340 million under management, agrees. Rowling describes herself as an early adopter of technology and spun off her own portfolio rebalancing software company. But she also recognizes that BlackRock, in particular, is aiming for more than just sales of technology as its shifts its focus. The company’s Aladdin product represents “a new way for BlackRock to market funds,” Rowling says. Specifically, Aladdin helps FAs identify unacceptable risks in clients’ asset portfolios, creating an ideal opening for the FA to recommend BlackRock products to reduce those risks, she and other advisors say. BlackRock’s goal for Aladdin is not solely sales of technology to replace shrinking fee revenues, but also to market funds, agrees Ross Gerber, CEO of Santa Monica, Calif.-based Gerber Kawasaki Wealth and Investment Management, which has more than $840 million under management. “I don’t think it will solve their problem,” says Gerber about Aladdin’s potential to replace fee revenues. Too much free and inexpensive tech is being offered to FAs from more and more B2B companies serving their profession for BlackRock executives to have expectations that Aladdin or other tech will be its future revenue driver, he says. 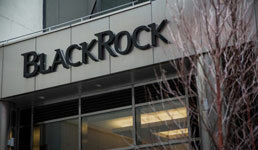 Instead, BlackRock’s tech is way in the door to FAs’ hearts and minds. “In the end, BlackRock is using this to sell their funds,” Gerber says. Best Interest Rule “Likely” to Hit in Q3, Even Though Insiders Brand it "Weak"